by Howell, Dusti D., Howell, Deanne K.
Howell, Dusti D., Howell, Deanne K.
Digital what?! Bring your storytelling into the 21st century! This exciting teaching tool includes tutorials with a step-by-step guide for building personal stories and creating digital videos, sounds, and images. 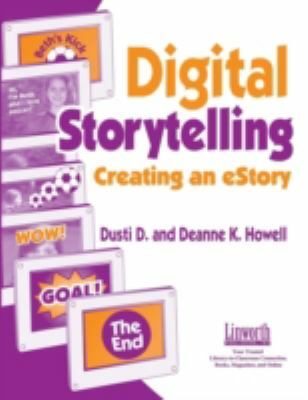 Projects are easily adaptable for teacher and librarian collaboration, and students can learn to create or find digital videos, sounds, and images.Howell, Dusti D. is the author of 'Digital Storytelling Creating an Estory' with ISBN 9781586830809 and ISBN 1586830805. Loading marketplace prices 110 copies from $1.98 How does the rental process work?